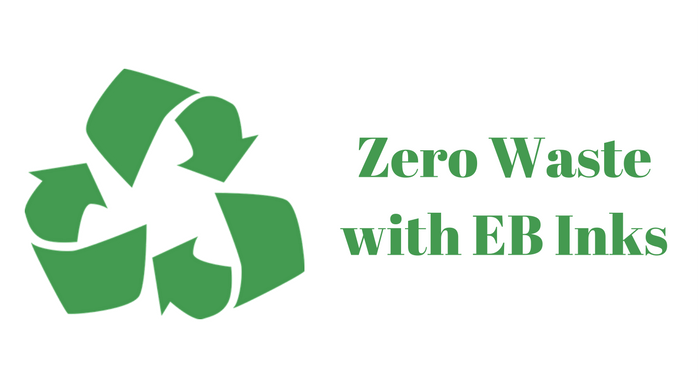 How EB Can Help Pg Achieve Their Zero Waste Goal — Energy Sciences, Inc. Following suit of a long line of manufacturers, Proctor and Gamble (P&G) announced this month that they will be increasing their sustainability efforts in order to achieve zero waste goods. The plan, which requires additional investment to meet their 2020 goals, includes eliminating all manufacturing waste and lowering their energy consumption. One effective way to reduce manufacturing waste is to use 100% solid EB inks in the printing and curing stage of package manufacturing. As P&G moves toward their goal we expect them to make adjustments at every step of their production process. P&G is no stranger to sustainability; the last few years we've seen them develop a strong sense of environmental responsibility along their production lines and within their products. They've been investing in wind farms and biomass renewable energy plants that will provide energy for a massive chunk of their products. They also have examined every aspect of their product line for inefficiencies, including their water consumption, waste, energy use, type of packaging used, facilities they house operations, and the way they transport their items. We are already starting to see the effects their sustainable initiatives are having. Over the past three years, the amount of waste generated by P&G has dramatically decreased. Starting at 1,119 metrics tons of global waste in 2014, they lowered the number to 807 t and 640 t in 2015 and 2016, respectively. Besides waste, their total energy consumption, greenhouse gas emissions, and water consumption have also been on a steady decline the last 3 years. Every year, P&G has been releasing a Sustainability Report as a status update on their goals and progress. This report is now consolidated within their Citizenship Report and outlines some of their long term goals. Their long term goals include running plants with 100% renewable energy, using 100% renewable or recycled material in their packaging, and having zero consumer and manufacturing waste end up in landfills. When looking at the waste their manufacturing produces, they are currently at 55% of their goal in eliminating all waste from their manufacturing process. Waste in manufacturing can come at any point along the line, from products damaged-in-process to excess materials used in their creation. Using EB inks instead of more wasteful inks is one of those steps that can help eradicate waste in this area. When identifying improvement points in their manufacturing process, many companies are looking to their packaging, specifically the printing and curing of their packages. Electron beam inks and coatings are one of the methods relied on to achieve complete sustainability for a product. EB allows for minimal waste during the printing process; the 100% conversion of liquid inks and coatings to solids ensures there is no waste produced, without diminishing any quality. Beyond eliminating excess physical waste, ebeam also cuts down on energy consumption. No dryers, solvent recovery, or incineration is required. Eliminating these steps lowers energy use and greenhouse gas emissions. P&G is a world leader in consumer goods and their actions have a large impact on the industry and the environment. We commend their efforts as a leading company taking action to leave a positive impact on the world. For companies looking to follow their lead and increase the overall sustainability of their product lines, we suggest you look into electron beam curing. If you would like to learn more about how EB works, click the button below for a brochure that will walk you through the basics.